TWA-2000 Transverse — Metal Detectors Inc. The TWA-2000 Transverse Series Metal Detectors, with MP-4 Digital Technology, can be built to scan boards up to 24-feet in length. These systems are easily integrated into most transverse fed tables, processing materials of great width with the accuracy and dependability needed for consistent equipment protection and guaranteed product purity. In today’s mills, environmental interference, such as variable frequency drives, radio interference, and AC noise creates a big problem for many metal detecting systems. This may result in false tripping which will force you to lower your sensitivity and drastically reduce your metal detector performance. Our systems are designed to help filter out these effects. A metal free zone is the area in which a metal detector can operate efficiently without any interference. Some metal detector manufacturers will sacrifice sensitivity in order to operate in shorter metal free zones. MDI will quote the shortest metal free zone possible and still achieve the sensitivity your application requires. 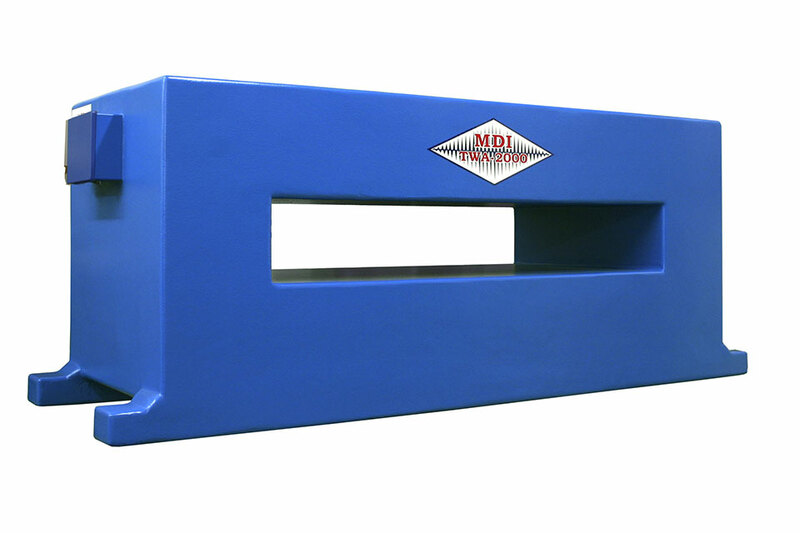 Any product, such as logs, that may have high levels of minerals or moisture with conductive properties will generate a response when passing through the metal detector. Our system extracts specific information from this response and applies sophisticated algorithms to classify it. Therefore, we can selectively reduce product effect and amplify desirable responses, giving you the best sensitivity for your metal detector with less or no false tripping. The MP-4 Microcontroller offers optional settings that allow you to customize your metal detector for various applications. With digital technology you have the processing power to achieve higher performance with greater stability and better sensitivity. Digital technology easily outperforms analog technology. In today’s world, digital technology plays a major part in modern electronics, such as computers, cell phones, and HI-Definition TVs. The processing power of a digital system greatly enhances performance and achieves powerful results. Software engineering has maximized the abilities of our digital technology to specifically accommodate the requirements of your application.